REDMOND, Wash.--(BUSINESS WIRE)--Every year, MAR10 Day (March 10, Mar. 10, MAR10 … get it?) is about two things: Mario and his many awesome fans. This year’s big day is no exception. To celebrate MAR10 Day, Nintendo encourages people of all ages to enjoy a host of heartfelt and joyous activities to honor one of the most iconic video game characters of all time (and one who has kept overalls in style for more than 30 years). To kick off the celebration, Nintendo is working with Starlight Children’s Foundation, a nonprofit organization that brightens the lives of seriously ill children by providing hospitalized kids with entertainment, education and innovative technology. Nintendo will be providing new designs for the foundation’s Starlight Brave Gowns, which help sick kids feel like superstars by replacing unattractive, uncomfortable and embarrassing hospital garments with comfortable and brightly colored gowns. Featuring characters from the Mushroom Kingdom, these new Starlight Brave Gowns include colorful depictions of Mario, Luigi, Princess Peach, Donkey Kong and Yoshi. 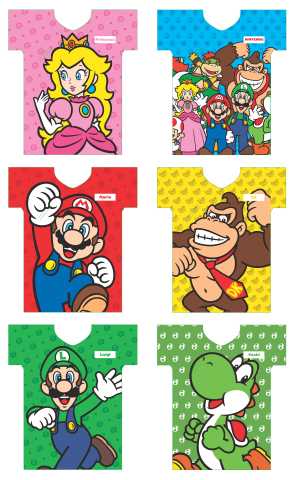 Additionally, Nintendo will provide a donation to Starlight Children’s Foundation to help create 2,000 gowns for this fun and colorful program. People who visit Facebook on MAR10 Day will be able to use a free Mario-themed frame for their Facebook profile photo from March 10 at 5 a.m. PT until March 12 at 11:59 p.m. PT. The frame will add iconic items from the Super Mario Bros. universe to any photo or image, and is also available inside the Messenger Camera. To find the frame in Messenger, simply open the Messenger app, take a photo and then tap the smiley face icon. This special frame will be the first one to appear in the top “Featured” section. Users can then just tap to add it to their photo. Great rewards, deals and sales are also part of the upcoming MAR10 Day celebrations. Select digital games starring Mario will be 20 percent off on Amazon.com on March 10 (offer valid while supplies last). In addition, My Nintendo is offering Mario-themed rewards all day, including 30 percent off the Mario Kart 8 game for the Wii U console, the Mario Kart 8 DLC Pack 2 that features Animal Crossing characters and two Mario-inspired wallpapers. Visit https://my.nintendo.com/ for more information and to redeem My Nintendo points. The celebration of Mario and all his fans is not just reserved for March 10 – with Mario, one day is never enough! This coming weekend will be host to two major events: PAX East in Boston and the Kids’ Choice Awards 2017, which airs live on Nickelodeon on March 11 at 8 p.m. ET/5 p.m. PT. Both of these events will heavily feature Mario in games like Mario Kart 8 Deluxe for the Nintendo Switch system. If you’re headed to PAX East, definitely check out the Nintendo booth to get hands-on time with Mario Kart 8 Deluxe. For more information about Nintendo and Mario, visit http://www.nintendo.com/. 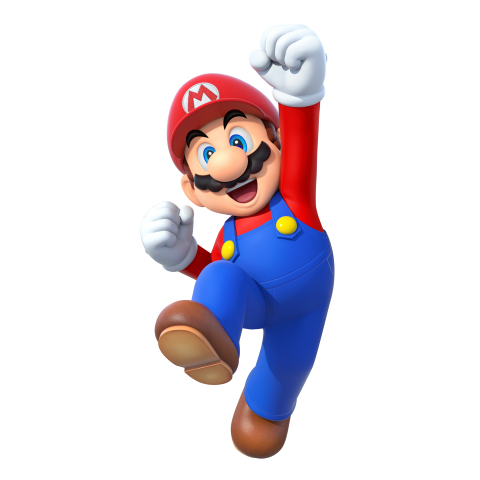 To find more Mario news, participate in polls and take fun quizzes all about Mario and friends, visit http://play.nintendo.com/mario. Nintendo Switch and Wii U feature parental controls that let adults manage content their children can access. For more information about this and other features, visit http://www.nintendo.com/switch or http://www.nintendo.com/wiiu/. About Starlight Children’s Foundation: Starlight’s mission is to brighten the lives of seriously ill children and their families by turning pain, fear and stress into laughter, fun and joy – because a sick kid is still a kid at heart. Founded in 1982 by Peter Samuelson and Emma Samms, Starlight has helped more than 60 million critically, chronically and terminally ill or injured children in the US, Canada, Australia and the UK by providing programs that offer the best in entertainment, education and one-of-a-kind experiences. Steven Spielberg serves as the organization’s Chairman Emeritus. Learn more at www.starlight.org and follow Starlight on Facebook, Instagram and Twitter.